In these pockets of natural wonder you will experience a calming and refreshing drink with the enticing fragrance of chamomile flowers and sweetness of liquorice. 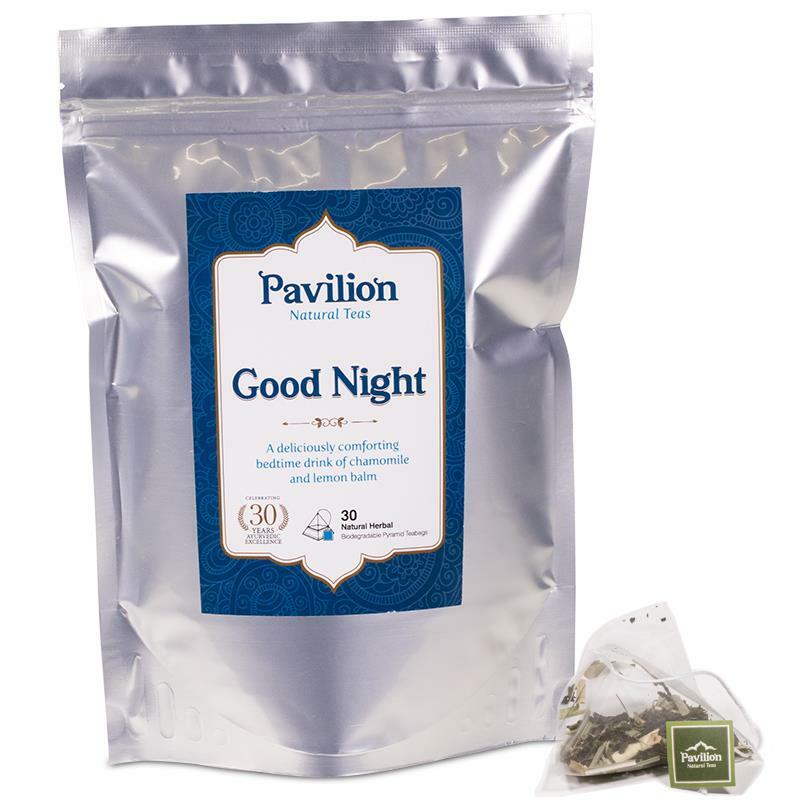 Enjoy your cup of Good Night at bedtime and have sweet dreams. Chamomile flowers, peppermint, lemon balm, liquorice root, rose hip, hibiscus petals, sweet orange peel.